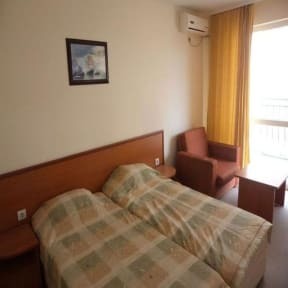 Free Wi-Fi, a cable TV and refrigerator are provided in each room. All rooms have an en suite bathroom and some overlook a public park located behind the hotel. Aqua Park Sunny Beach 'Disco Mania' and the central pedestrian area are 200 metres away. The nearest restaurant is only 30 metres away and serves Bulgarian dishes.A very famous restaurant 'Gianni' is only 100 metres. 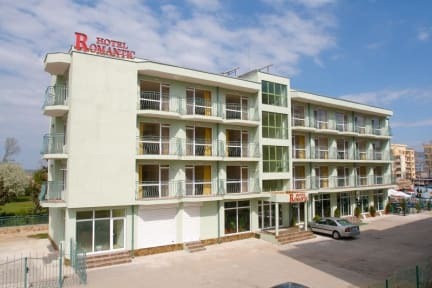 Hotel Romantik is only 250 metres from the bus station. The distance to Nessebar is only 5 km. We only accept cash for payment of balance.